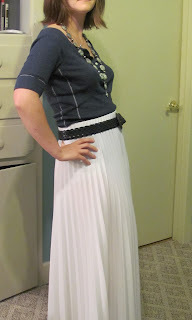 Second Bedroom: White Pleated Skirt Found! Last month I posted that I was searching for a white pleated skirt. Lo and behold, strolling through Baltimore, I came upon an enormous antique store that claimed to have vintage clothes "downstairs." We only have a couple vintage stores in Baton Rouge, so naturally, I wanted to avail myself of this opportunity to see a different stock. 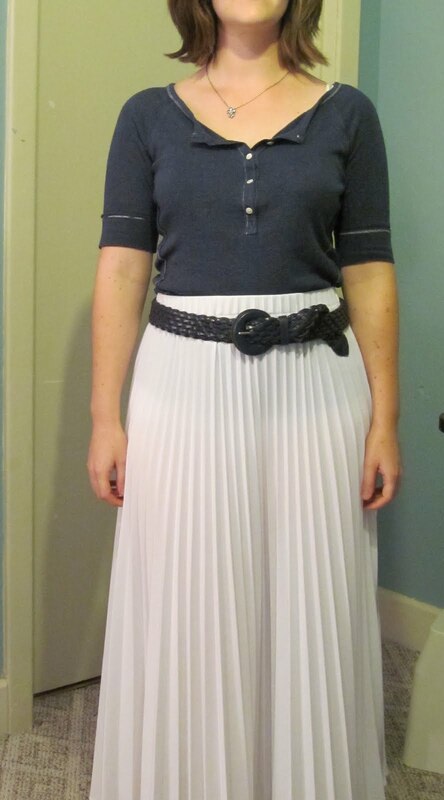 I descended an enormous staircase to find the white pleated skirt I had been dreaming about staring me in the face! It wasn't on the racks with the other clothes, and I worried for a moment that it might be on hold for someone. Not wanting to chance it, I snatched it up and made my way to the cash only register, $16 in hand. 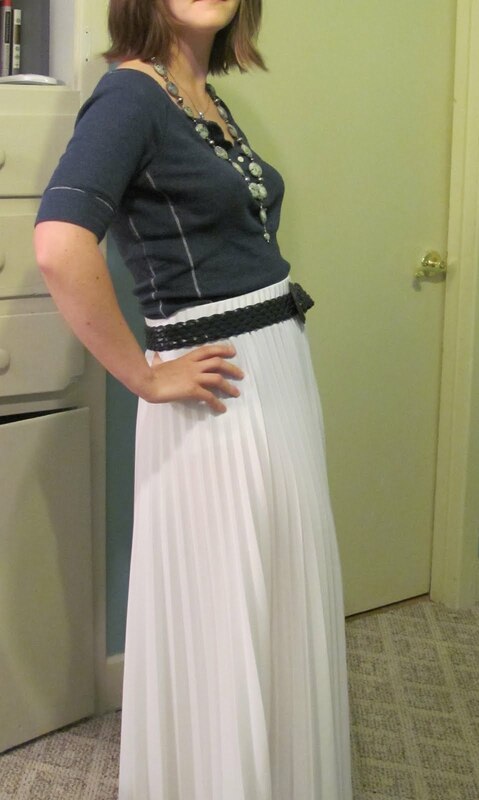 I didn't even try it on - I just figured the $16 was worth it no matter what happened to the skirt. But as if by some miracle, it fits perfectly - waist and length! I pranced around in it for my friends, demonstrating this divine gift, until dear Kelly pointed out that it's completely see through. Oh well. 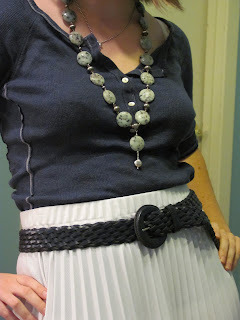 I'll have to stitch a slip into the waistband. Yay! What clothing item are you hankering for these days?